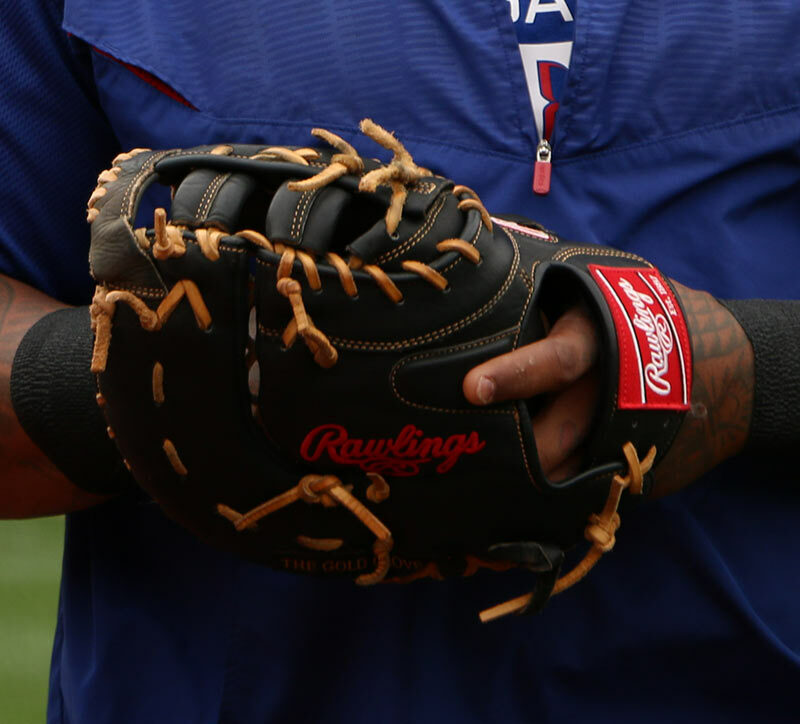 We got our info from Rawlings on Prince Fielder’s first base mitt. He wears a PROFM20XLKB single post Heart of the Hide featherlite-black with camel laces. “Success” embroidered in scarlet script. Glove is stitched in copper. XRD finger-pad over the index finger. 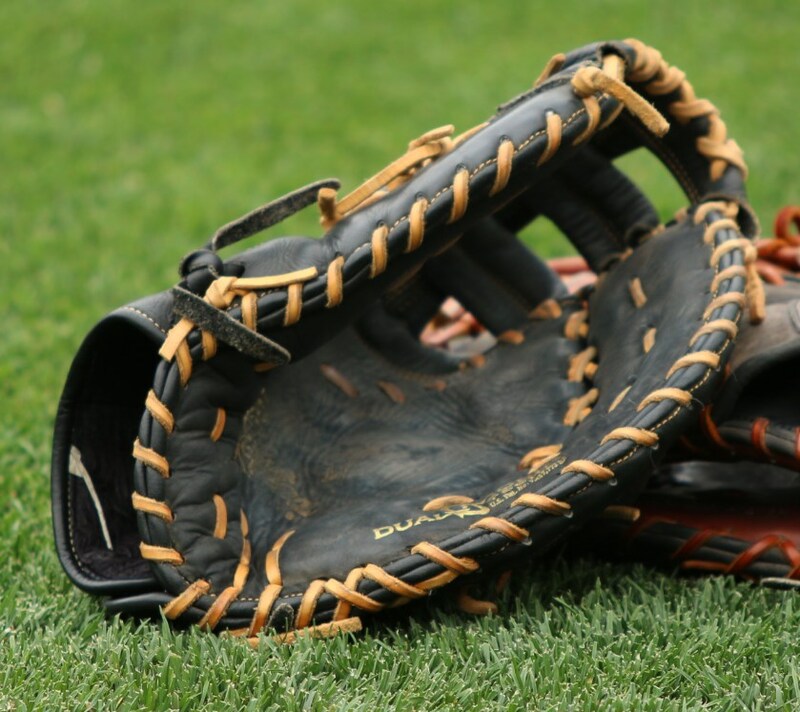 The custom glove available at the link is pretty much identical. 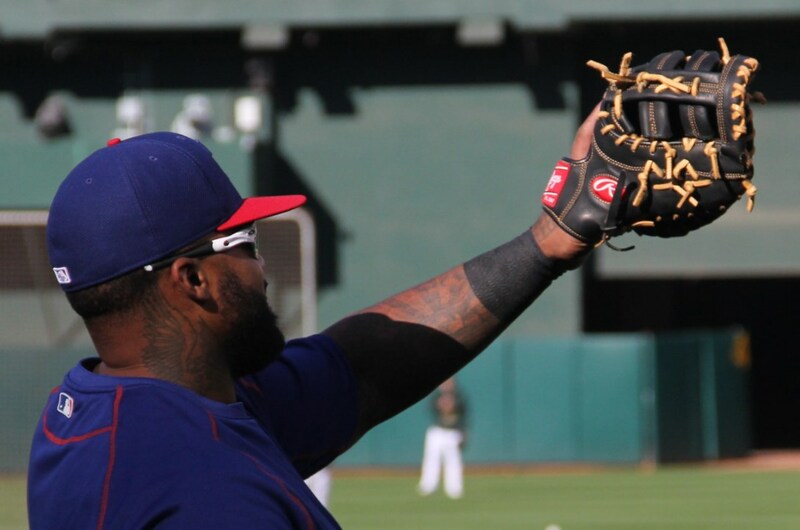 Categories: Texas Rangers, Prince Fielder, Gear, Glove, First Base Mitt, First Base.